Shew! Two weeks already? I almost didn't post, thinking next week was the two week mark. I guess I got busy! I'm reading through three lists of best horror with two friends, posting reviews as we go. (For more information, including a list of the books, see this post.) So far, I've reviewed Poppy Z. Brite's Drawing Blood, Robert McCammon's The Wolf's Hour, Laird Barron's The Imago Sequence, Neil Gaiman's Coraline, Margaret Atwood's The Handmaid's Tale, Kathe Koja's The Cipher, and Barbara Hambly's Those Who Hunt the Night. 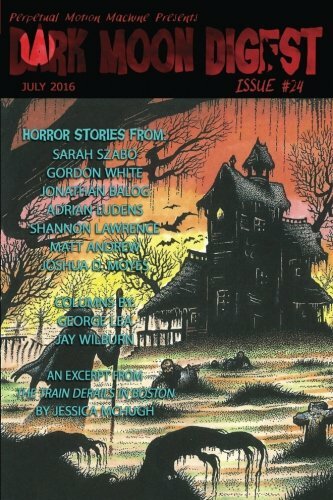 This week I'm reviewing Best New Horror, Volume 1, edited by Stephen Jones and Ramsey Campbell. I'm having a little trouble figuring out how to review this one. So I'll just start at the beginning. 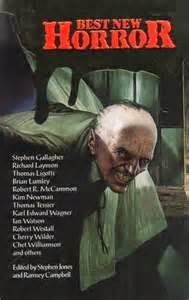 This anthology was dedicated to horror published in 1989. One of the things I also enjoy about this series is the roundup of horror news and publications they do at the beginning of each. It was fun to see what books had come out in 1989. 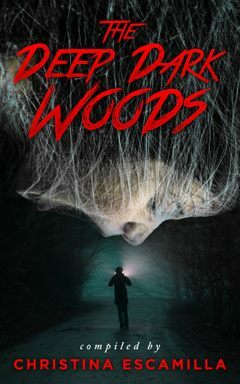 For instance, Stephen King released The Dark Half, Dean R. Koontz released Midnight (one of my favorites of his), and Robert R. McCammon came out with The Wolf's Hour, which you'll see in my intro I already reviewed. They listed collections, anthologies, magazines. Magazines that went down, such as The Horror Show and Twilight Zone Magazine. Pet Semetary, a movie based on a King novel, was released that year, and did better than any other horror movie released in 1989. Twin Peaks was called out for its sheer awesomeness. Award winners like Peter Straub and Ray Bradbury were mentioned. And a call was put out for horror to enter the mainstream, to dominate, to revive. I enjoyed the stroll through Horror Memory Lane. Robert R. McCammon, Pin. In this story we sit inside a man's head as he talks to himself. He's thinking of harming others, but above all, he's thinking of harming himself. The pin of the title is a silver pin he's considering sticking in his eye. Does he? That's part of the horror of the story. You're willing him not to, but since he's a little crazy and seems dangerous, you start to think maybe he should. But no, nobody wants anyone to stick pins in their eyes! Will he? Cherry Wilder, The House on Cemetery Street. This one was horrifying as it touched on a sensitive subject. Two children return home to Germany after eight years away during the war. While they were away, a Jewish mother and her children had been hidden in the house, but they'd gotten away safely. Or so it was said. A haunting begins to tell a different tale. I found this one more sad than anything else, but there was a certain dawning horror as it was determined what occurred in that house. I thought this one could be better, but the subject was still awful. Stephen Gallagher, The Horn. This one is a classic creature story. Full of hope and fear. And, of course, isolation, which always lends itself well to a horror setting. Three men are stuck in a snow storm. They abandon their cars on the roadway and find themselves in a shack, stuck together, though they're strangers. There's no heat or power. And then comes a sound. A horn, out in the snowstorm. Is it salvation? This one was scary in an "Ack, run away!" kind of way. Alex Quiroba, Breaking Up. The first thing I noticed on this one was the intentional abuse of grammar conventions. No apostrophes. Long, run-on sentences. It was obviously done on purpose, and it created a dissonance for me that made me twitchy. The beauty of the story is you have no idea what's really happening and what's being imagined. It's like a dream sequence, where the person wakes up, then wakes up again, each time from a deeper dream. Surreal. Overall, it's about a breakup, but how does it really end? Ramsey Campbell, It Helps If You Sing. This one starts off strange, establishing a mood that shows us something is off, but there's no clear reason for it. There's a sense of isolation and wrongness. There are fewer people than there should be, less activity. A hymn is sounding from all around the main character, but he can't find the source. Things are wrong in his apartment building. And then he finds two men at his door who are peacefully pushy, like any good peddlers of religion. But what happens next isn't the type of conversion we're used to. 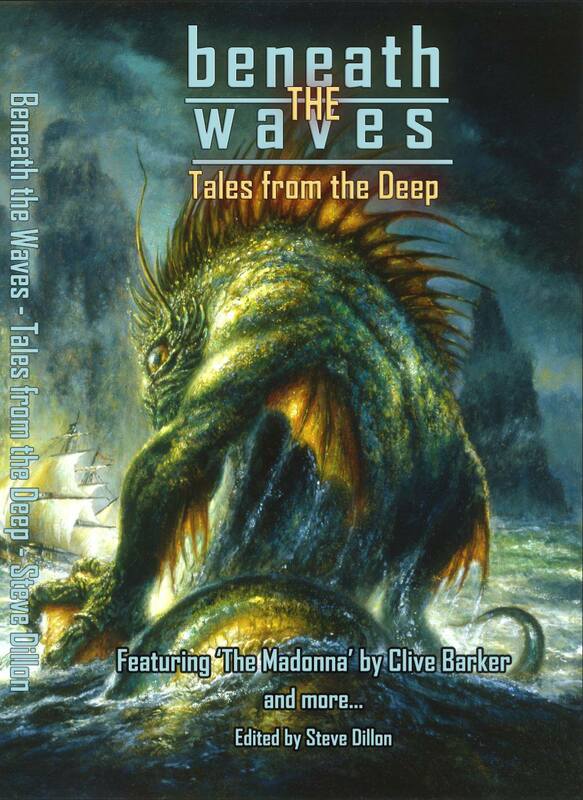 I like Ramsey Campbell, but this wasn't my favorite by him. I did think the atmosphere was interesting, and the premise was frightening, especially the hopelessness and isolation. Laurence Staig, Closed Circuit. This one was very Stepford Wives. A family wins a place in an esteemed Township. There's nothing for the mother to do in this new area, so she takes the kids to The shopping center that she's heard so much about. She's nervous to begin with, but once she's inside it's like a labyrinth that can't be escaped. Inside, it's full of freaky cheerful consumers. Consume, consume, consume. Buy, buy, buy. Zombies for the modern age, but they're fully alive. There must be a way out, but how? This one was freaky courtesy of the fish out of water theme and the pure hopelessness of the situation. It's a commentary on the "hot new deal," "must have" thought process. Steve Rasnic Tem, Carnal House. This one was dark and disturbing. It starts with a phone call. A woman calling a man. But this man happens to have another woman living with him. Still, he goes. There's something wrong with this other woman, though, a desperation to live, to feel. And this isn't just an affair. There's something so much deeper about this relationship, a meaning you don't consider right away until it comes full circle. Kim Newman, Twitch Technicolor. This one was odd, and I found it a bit painful to get through. It's about a guy who remixes old movies, adds colors, changes up what happened, puts in voice overs to new scenes, etc. It's a commentary on corporations and corporate espionage, but the danger is played up. It's not just a loss of money, but a loss of life. Mixers like him are being murdered in very specific ways. But then a new detail comes to light. 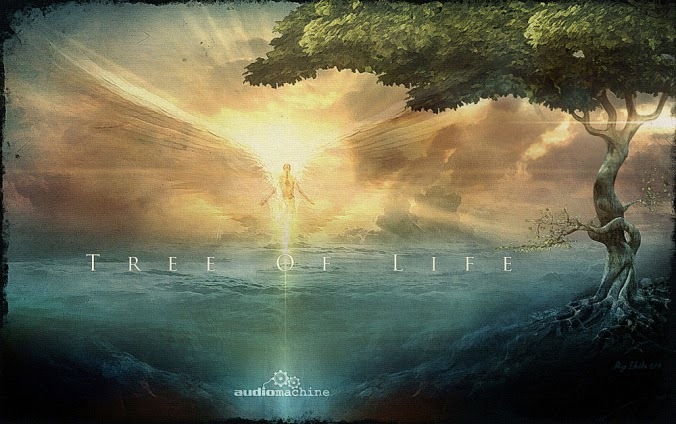 Does life mimic the movies or the other way around? I think someone else might enjoy this more, and the subject is intelligent, but I found the details too painful to get through. Gregory Frost, Lizaveta. This one was another creature one, and I suspect if I looked up the creature it might be a real story told in Russia. In the midst of violence and carnage, a group of soldiers goes into a poor area to find some female company. A woman presents herself to one of them, but she has a hellish tale to tell, and she's terrified of something that stalks her in the fog. Once a school teacher, now a prostitute, her story gets to him. I enjoyed this one. Things feel safe for her with a soldier there to protect her, but is he safe? You want everything to be okay for her and there's a tension born of that. The supernatural element robs you of that hope, but not completely. Donald R. Burleson, Snow Cancellations. I liked this one. It even gave me a story idea, partially because I thought the story was going somewhere, and it turned out it wasn't at all, but then I had that idea to explore. What if? A boy is left home alone when a snow day is declared. He keeps the radio on, listening to the radio announcer as he announces each new set of cancellations. Eventually, it becomes clear that these closures aren't the usual kind, and something lurks outside in the snow. Something that is usually a joy for kids becomes a thing of terror. And that terror is so discordant with the soft, fluffy white peace one experiences during a good snow. Well set up and played out, it turns our childhoods on us. Nicholas Royle, Archway. A woman gets a new flat. It's not great, but it's all she can afford, and it will take her. Flats are in demand, with too few for the number of people in need, so you take what you can get. But there's something wrong. Sounds, cracks that change, a black viscous nothing that infiltrates the flat. She loses her job, and her world begins shrinking in on her. Someone is watching her, a face she sees around her at various places. Who or what is it, and what are they trying to do? This one was gritty. Thomas Ligotti, The Strange Design of Master Rignolo. In this one, two men have the opportunity to see into the mind of a abstract artist. The story is almost as abstract as the artist's work. There's something unreal about his artwork, something mysterious and dark. I didn't really get this one in its entirety. I was left sort of indifferent, though there were definitely interesting elements. Chet Williamson, ...To Feel Another's Woe. This one is set in the world of starving artists--actors. The main character tries out for a play, but the woman he's playing opposite has an unusual way to grow her prowess as an actress. I wasn't scared by this one, but it was a compelling idea. How do the strongest actors produce those strong emotions that pull us in? And who pays that price? Robert Westall, The Last Day of Miss Dorinda Molyneaux. The title's misleading, though I won't tell you why. 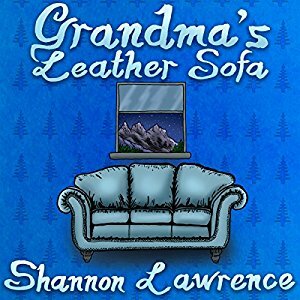 This story follows a young school teacher and an antiquer who gets involved with her and her class. When they visit a church only to find out later that a grave has been defaced, the children are blamed. In the course of figuring out why graves are continuing to be defaced, Miss Molyneaux may be in danger, and there's only one person who can figure out what's happening. 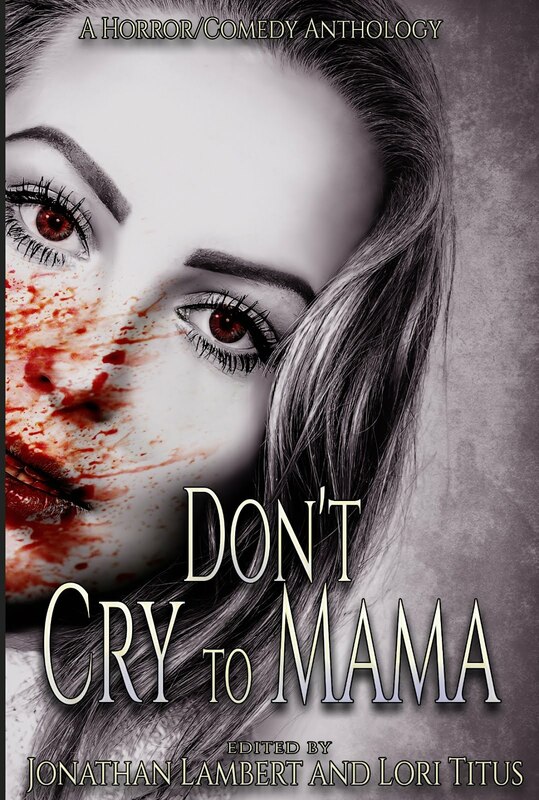 A mystery with a dark, paranormal twist. Brian Lumley, No Sharks in the Med. This was one of my favorites. There was nothing supernatural about this one. The terror of the story was all too human, and frighteningly possible. A young newlywed couple heads to a small town in Greece (IIRC), where they are led into a dangerous situation. This is another story that derives part of the tension from isolation, but not the usual kind. Instead of dark and enclosed, they are trapped somewhere open, sunny, idyllic, but a place they can't escape, nonetheless. Sometimes when you get a bad vibe off someone, there's a good reason for it. D.F. Lewis, Mort au Monde. This one was super short. A couple on a ship are in cabins separated by chaperones. But these chaperones are not what they seem. I had to read it again, because I didn't remember it when I sat down to write this. Thomas Tessier, Blanca. A travel writer journeys to a bland town to escape. He sets out to explore, but finds little to interest him. In town, he makes a friend, another man from out of town. 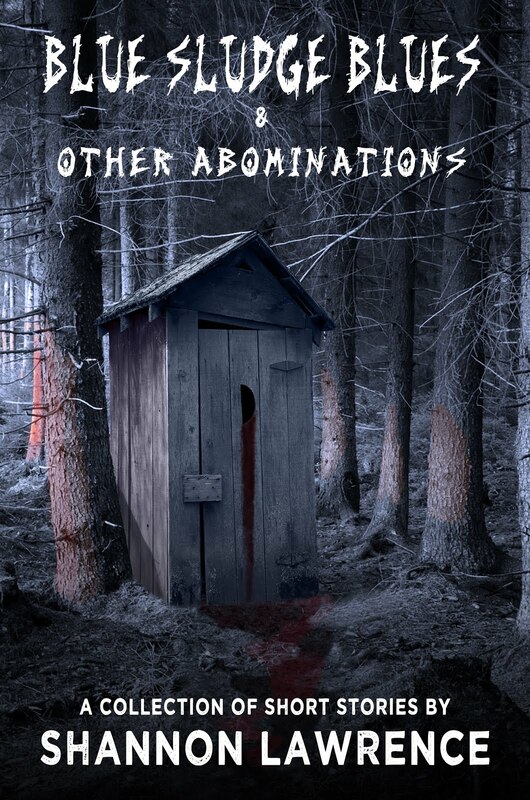 A series of realistic nightmares puts him on edge, especially when his friend disappears and he finds his nightmares aren't just figments of his imagination. This is another fish out of water tale. A stranger in a strange land. But the fear and discomfort that come with that aren't without reason in this one. The fright is the fact that this could happen to anyone. Ian Watson, The Eye of the Ayatollah. This is another sensitive topic, but in a different way from The House on Cemetery Street. This one involves the Middle East. An injured soldier returns to his little town, the Ayatollah having been killed. In a moment of religious fervor, he rips an eye from the Ayatollah before his burial, having lost his own in the war, and is able to use it to track a mortal enemy. Karl Edward Wagner, At First Just Ghostly. An author who has suffered a loss heads to Europe for a writers conference. There, he sinks into a liquor-filled depression, and is drawn into a supernatural battle that involves Kane, a man who pretends to be an editor who's interested in his books. This one really seemed more urban fantasy than horror to me. And it was a bit long for me. Richard Laymon, Bad News. The simple act of getting the daily paper turns into a fearsome ordeal for a family when something crawls out of it. Something unkillable, unstoppable, and vicious. And they're not the only ones under attack. No one can help them. This was a classic, though more in the fashion of movies I've seen than stories I've read. Under siege by a frightening and unknown creature. Is it alien or something else? Another consistent feature of these books is the Necrology at the end, where the deaths of famous folks, whether actor, writer, or other, are noted. A few deaths of note were Salvador Dali, Daphne Du Maurier, and Lucille Ball. There were a ton more, though. Overall, I enjoyed the book. There were few stories that didn't interest me. Really, even the ones that just weren't to my taste had redeeming qualities. 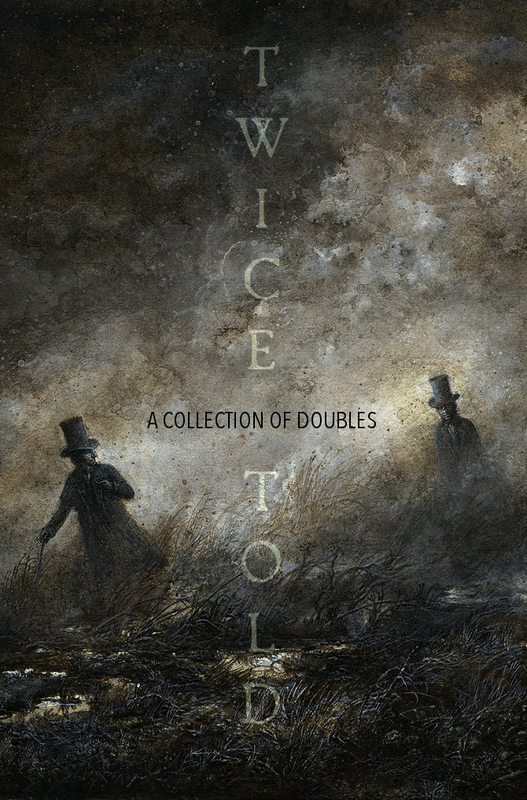 Which makes sense, since these are supposed to be the best short horror fiction of the year. 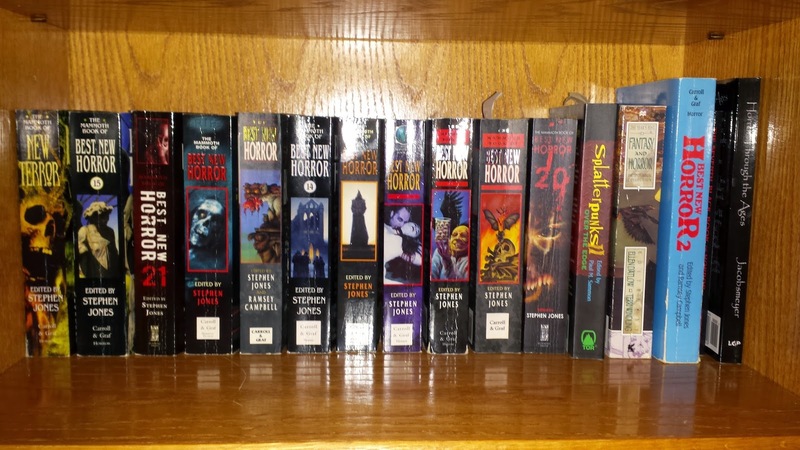 Many of these authors have been frequent inhabitants of the Best New Horror series. The ones that stood out to me most were Pin, Carnal House, Lizaveta, Snow Cancellations, and No Sharks in the Med. None of them made my skin crawl or made me check the locks, but they were good, solid stories with interesting characters, atmosphere, and settings. I recommend the series to anyone who enjoys horror, whether this one or more recent ones. The next book I'll be reading is Berserk, by Tim Lebbon. Have you read any of the Best New Horror collections? Do you prefer horror in novel form or short form, or does it matter? Any of these authors familiar to you? Which do you recommend? And what books of theirs? So I'm a day late, but I figured I'd rather post late than not post. Here's a view of Pikes Peak from my hike yesterday. We've had gorgeous weather this week. The snow and nasty temperatures will return, so I've tried to be outdoors every day to soak up a little sun and a lot of fresh air. Without further ado, the links. I'm not personally endorsing these, merely passing them along. Be sure to do your due diligence before submitting to a publication. 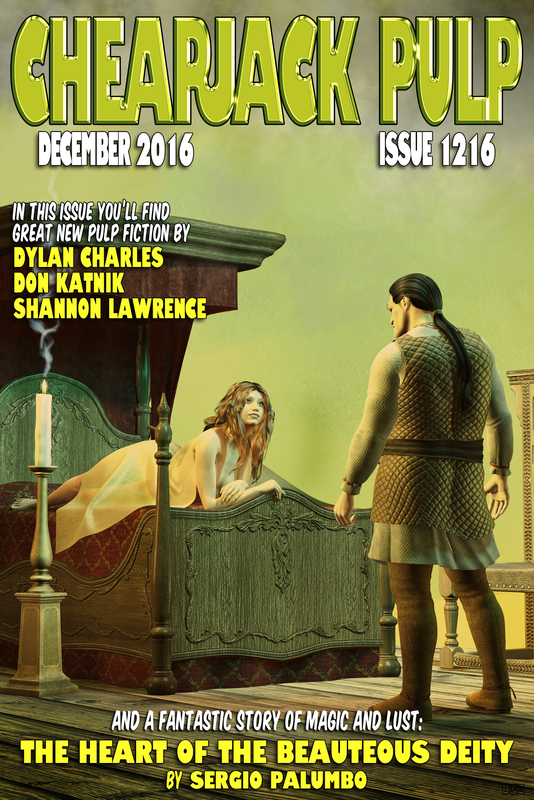 18th Wall has multiple markets open for submissions. From the Dragon Lord's Library seeks fantasy involving dragons, 1 to 1000 words. Just so Stories seeks fables that tell why things are so, 1 to 3000 words. Deadline March 1. Unsure of pay. Upstreet Literary Magazine is open for poetry, fiction, and creative nonfiction. 5000 words or less. Deadline March 1. Payment will be $50 to $250. 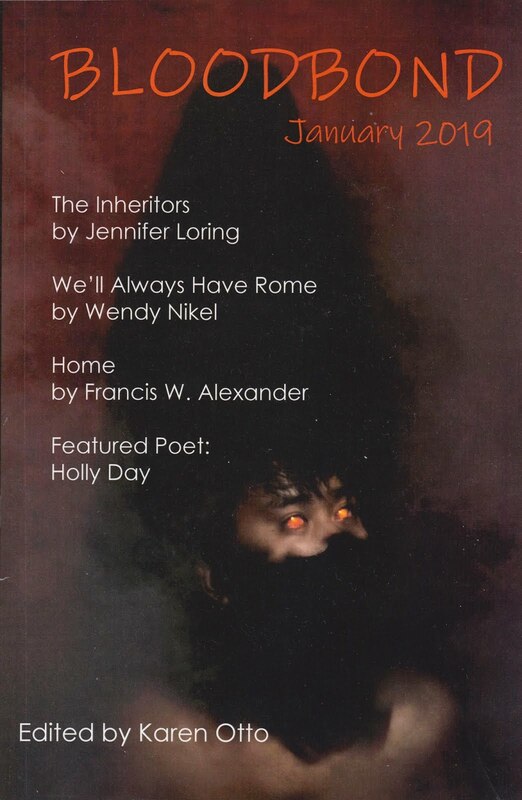 Black Warrior Review is seeking poetry, prose, and nonfiction. Up to 7000 words. Deadline March 1. Token payment. 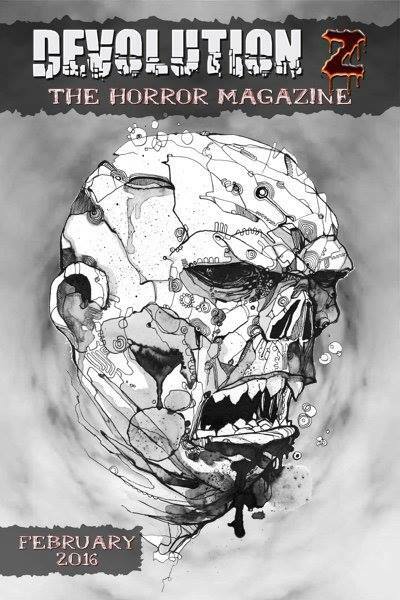 Stone Skin Press is open for submissions to Swords V. Cthulhu, an anthology. Up to 5000 words. Deadline March 1. Pays $.05/word. 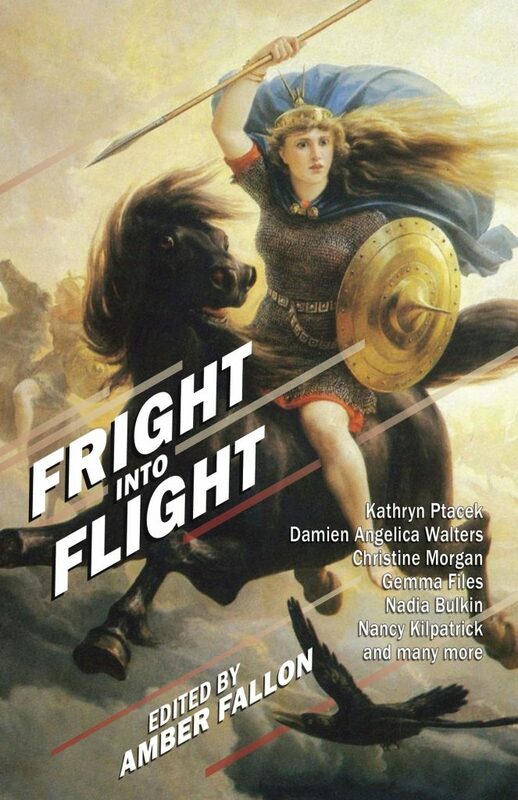 Intrigue Publishing is putting together a YA anthology: Young Adventurers: Heroes, Explorers, and Swashbucklers. 5000-10,000 words. Deadline March 1. Pays $25 and two contributor copies. 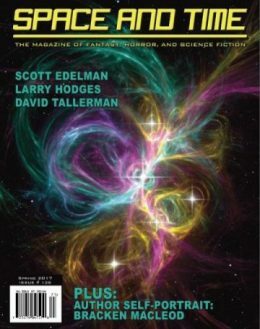 Strange Horizons is looking for short speculative fiction. Up to 10,000 words. Pays $.08/word. 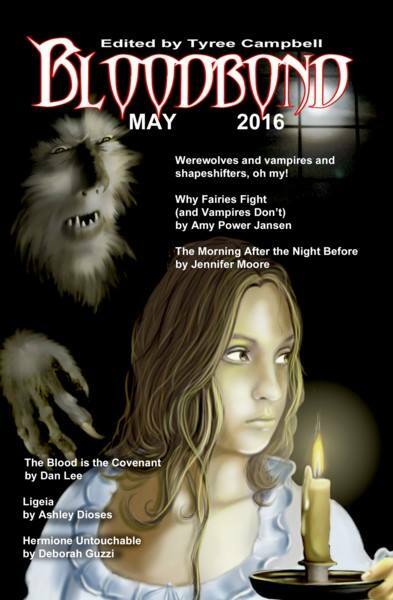 Devilfish Review is looking for poetry, fiction, and flash fiction in speculative fiction. Up to 5000 words. Pays $10. Serials Flashers posts flash fiction serials of up to five episodes. Humorous speculative fiction preferred, but they're open on genre. Up to 500 words. Pays $5 per flash piece. Theme of Absence is looking for speculative fiction. 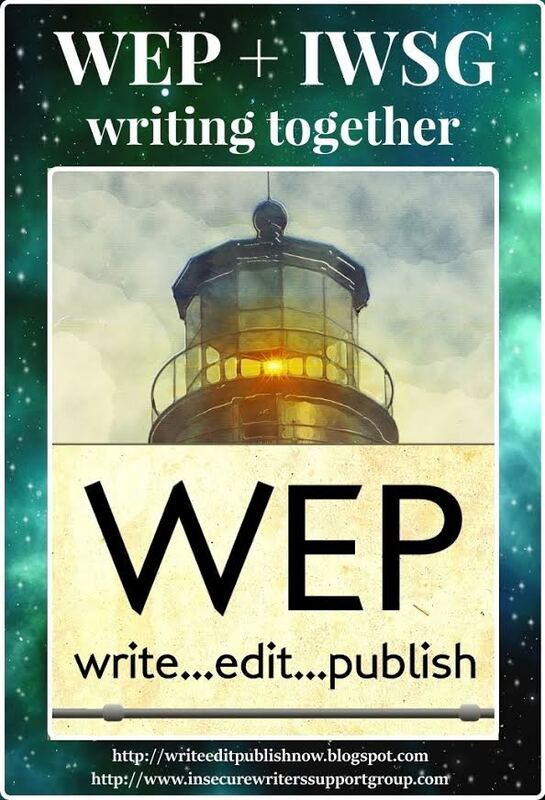 Up to 1000 words for flash fiction and 3000 for short fiction. Pays $3 to $5. Unsung Stories is seeking speculative fiction. Up to 3000 words. Pays £25. Anything to share? How's the weather in your world? Any of these publications of interest? Any publishing news? You all know I write horror and enjoy reading it and watching movies in the genre. Well, you do now. I recently read an article that I won't link here, because I don't feel like giving it more clicks, that said people who enjoyed horror movies were less empathetic, more aggressive and thrill-seeking, and that it was mostly men. For the record, most of the people I know who enjoy horror. . .are women. I posted this article to my Facebook page and ended up having an interesting conversation. (I hadn't thought about the fact that I was sending this ignorant person readers at that time.) There are plenty of us who appreciate some good horror catharsis. As far as I know, none of us are leaping out of airplanes and murdering people for sport. Given, I'm sure we've all got our secrets. They just probably don't align with this article's viewpoints on our humanity. Originally, this post was going to be a point by point argument, but I've decided it's more fun to respond to absurdity with more absurdity. So instead I'll be detailing how reading or watching horror makes you the most fantabulous human being of all. 1. Enjoying horror makes people super heroes! That's right. Because the fight or flight response is triggered, your body floods with adrenaline. Adrenaline makes you strong and fast, and triggers more rapid blood clotting. 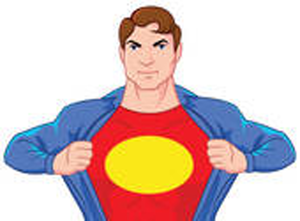 In other words, you have super speed, super strength, AND super healing. Other than the ability to fly, what more could you ask for? 2. Horror produces shiny happy people! Another hormone response of fight or flight is to release endorphins. What do endorphins do? Why, they reduce pain, reduce stress, and provide a sense of euphoria. Instead of exercising to get that sense of well being--the runner's high--you can just watch a horror film. What could be easier? If more people watched horror, humanity would be happier in general, because they'd be full of endorphins. 3. Partaking of horror = disaster preparedness! Don't enjoy horror? Aw, that's too bad. The zombies will eat you first. Those of us who watch horror already know the rules. Psycho killer? We know what to do. In fact, we'll figure out who it is before anyone else. Overrun by zombies? No problem. We got this. Werewolf pack problems? Easy to avoid if you know what to do. 4. Horror, great for weight loss! Want to be skinny? 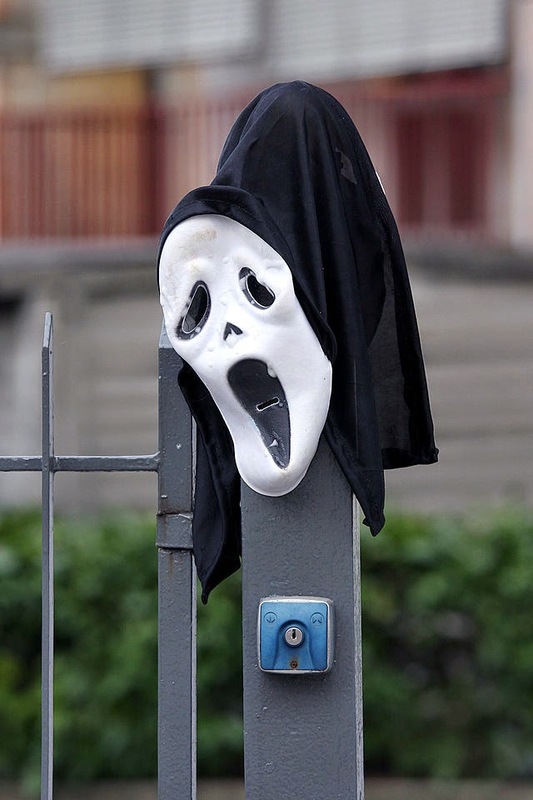 Being scared triggers the metabolism of fat and glucose stored in the liver. Didn't get out for your walk today? No problem. Pick up a terrifying book and watch the pounds melt away. You've just burned off a bunch of calories, so don't forget to snack. 5. Who needs carrots when there's horror? 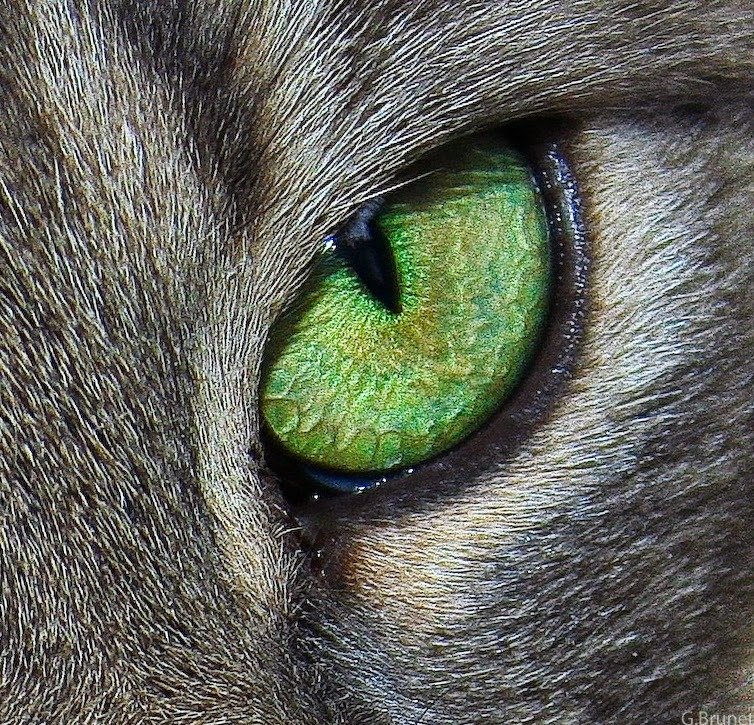 The fight or flight response causes your eyes to dilate so you can take in more details. You hear that? You can see in the dark! You might as well be a cat! Tired of wearing your glasses? Get a good scare and you'll never need them again. Enjoying a scary story doesn't make a person a psycho. It doesn't mean they don't have feelings. It doesn't mean they can't feel for others. What it means is they like a good scare. Whether that's for escapism, catharsis, or the love of cheesy special effects, it's not a bad thing. Some of the best drawn characters, the ones where you really get into their heads and understand what they're going through, are characters in horror novels. A movie or novel would be half as terrifying if those reading or watching couldn't identify with the characters, couldn't empathize with their plight. You can't be scared by something you can't feel. And you can't be scared for someone you can't feel for. What do you think? Are people who enjoy horror sick in the head? Do they lack empathy? Is it possible to enjoy horror if you feel for others? What stereotypes exist for the genres you most enjoy? Are you misconstrued by people who just don't get your genre? Since I didn't post any links last week, I promised to post double this week. So without further ado...links! As always, bear in mind that I am not endorsing any of these. I am simply passing along information I've come across. Be sure to do your due diligence in researching publications before you submit to them. Darkhouse Books is putting together a Sci-Fi anthology, The World of Tomorrow. These should be stories that take place in the future as envisioned in the world's fair. Deadline February 14. 2500-7500 words. Will pay in royalties. Constable Robinson is seeking submissions for The Mammoth Book of Professor Moriarty Adventures. 4000-7500 words. Deadline February 15. Pays $215. Solarwyrm Press is seeking submissions for Marked by Scorn, an anthology of non-traditional relationships. 1000-8000 words. Fiction, non-fiction, and poetry. Deadline February 15. Pay is 1/2 cent per word. They're also seeking poems or stories for Clockwise: The Afternoon Storms. Deadline February 28. 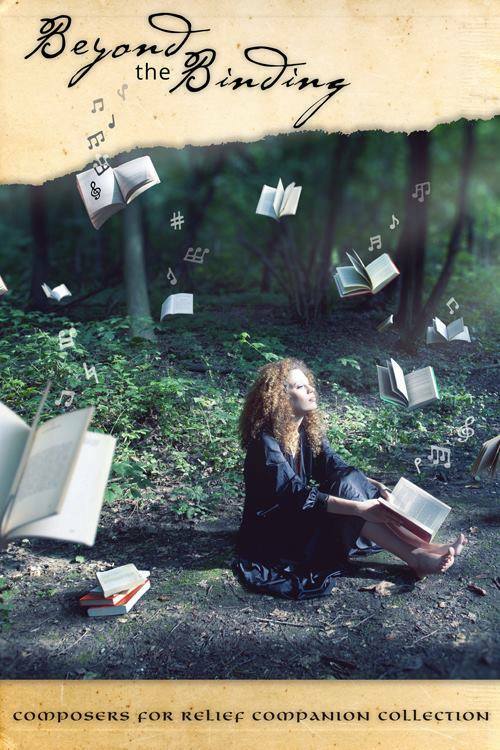 Helen Literary Magazine is open for submissions in the theme of Music. 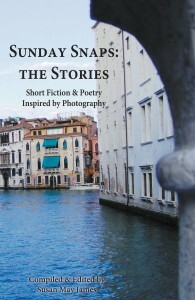 Short fiction, flash fiction, creative non-fiction, poems and art. 500 to 5000 words, depending upon type of submissions. Pay varies from $2 to $10, depending. Deadline for this theme is February 28. Emby Press is seeking submissions for Monster Hunter: Revolver. These should be stories of a monster hunter being hunted by the monster. 2000-8000 words. Deadline February 1. Pays $25 and an e-copy. Vine Leaves Literary Journal is open for submissions through February 28. Vignettes up to 800 words. Poetry and artwork/photography. Pays $5 per acceptance. Wolf Willow Journal is open to submissions for their spring issue, themed Rebirth, through February 28. Poetry, fiction, nonfiction, visual arts. Fiction is up to 7000 words. Pays $10-20, depending upon type of submission. Crushing Hearts and Black Butterfly Publishing is taking submissions for Lurking in the Deep, an anthology of fears and creatures having to do with water. 2000-10,000 words. Deadline February 28. Parsec Ink is open for submissions to Lost Voices, an anthology of speculative fiction. Up to 6000 words. Deadline February 28. Pays $.02/word. Crossed Genres Magazine's next theme is Success. Deadline February 28. 1000-6000 words. Science fiction and/or fantasy. Pays $.06/word. Breaking Fate Publishing is open for anthology submissions for Deadhead Miles. Roadtrip horror. 1000-15,000 words. Deadline February 28. Pays in contributor copies. 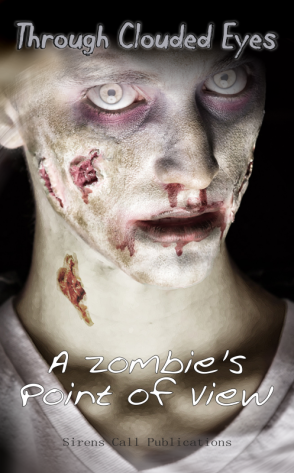 They are still taking submissions for their zombie anthology until January 31. 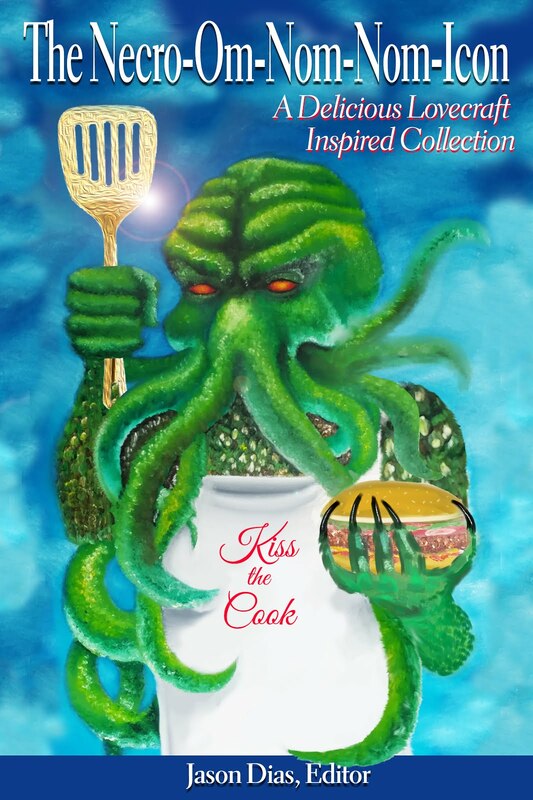 Horrified Press is taking submissions for The Fall of Cthulhu (February 28), The King of the Living Dead (February 16), The Ripple Effect (February 28), Supernatural (February 25), Ice (February 25), and a bunch more. Most are 3000-5000 words. Pays in royalties. Lunch Ticket is hosting the Diana Woods Memorial Award in Creative Nonfiction. Essays up to 5000 words on the subject of your choice. Winners will get $250 and publication. Deadline February 28. 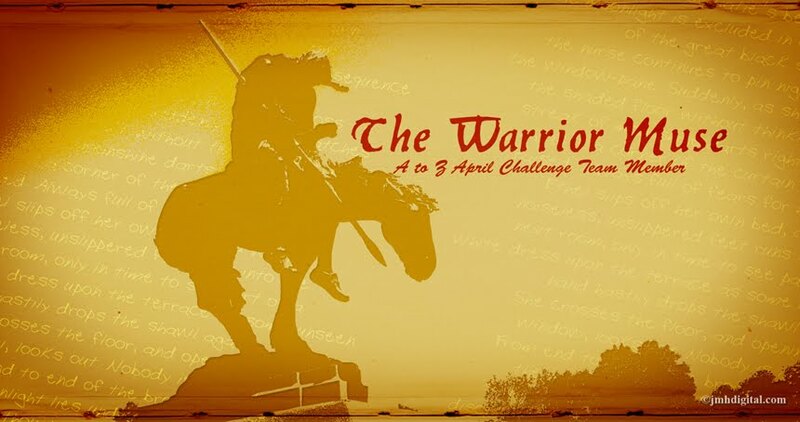 Witty Bard Publishing is holding their Action/Suspense Short Story Contest. Up to 7500 words. Deadline February 28. Pays royalties and publication. Thought Catalog put out 21 Harsh But Eye-Opening Writing Tips From Great Authors. Mental Floss put out 19 Rare Recordings of Famous Authors. The Revolving Book put out Five Things Every Good Romance Novel Should Have. Alright, that's not quite double the usual, but it's good enough for now. Any of these of interest to you? Anything to share? Publishing news? I know I skipped the Wednesday post, but sometimes it comes down to getting some sleep after a nasty bout of insomnia, or sticking to my blogging schedule. This time I chose sleep. I'll double up on the links next week to make up for it. I'm reading through three lists of best horror with two friends, posting reviews as we go. (For more information, including a list of the books, see this post.) So far, I've reviewed Poppy Z. Brite's Drawing Blood, Robert McCammon's The Wolf's Hour, Laird Barron's The Imago Sequence, Neil Gaiman's Coraline, Margaret Atwood's The Handmaid's Tale, and Kathe Koja's The Cipher. This week I'm reviewing Those Who Hunt the Night, by Barbara Hambly. I liked this one. As I started reading it, it felt old fashioned. It was set in England in the time of Queen Victoria, for whom the title character, James Asher, has been a spy. He is simply a professor at a respectable university now, but it seems like the calm life wasn't made for him. He arrives home to find his servants and wife in an unconscious state, a Spanish vampire awaiting him in his office. Of course, he has no knowledge of vampires, not realizing they exist, but Simon Ysidro convinces him, and asks him (in a manner of speaking) to help him with a problem. Someone is killing vampires during the day, rendering them unable to defend themselves. Knowing Asher has no vested interest in keeping vampires alive, Ysidro makes it clear that Asher's wife stands to suffer at his hands if no assistance is provided. One of the things I liked was that Ysidro wasn't gorgeous. He wasn't romantic. He didn't sparkle. He is pale and quiet, mysterious. And he is deadly, not afraid to feed on anyone at any time, no matter what Asher thinks of it. He is not burdened with much of a conscience. This is simply what he is. He is no monstrous nosferatu, true, but he is cold and calculating, willing to manipulate when he needs to. He's also a gentleman. Asher, even as he deals with danger from various sides, convinced Ysidro will likely end him as soon as the murderer is caught, is fascinated with what makes vampires tick. He notes behaviors and mannerisms, questions what he sees. He's intelligent and resourceful. Never foolhardy. His wife, Lydia, is a stunner, a woman of means who married below her station (in her father's eyes). The couple is intellectually matched, with her a physician in a time where that's not a popular or respected choice. She's curious and stoic. And they're quite in love. In the course of his search, Asher comes into contact with several other vampires. They're not happy Ysidro has exposed their secret to a human. Just as with Ysidro, these vampires aren't attractive; they look like average people. There's a frumpy vampire couple, still the middle aged couple they were when turned. Vampires can compel, and Asher is convinced that vampires fog thinking to make it look like they've suddenly appeared elsewhere. He theorizes that vampirism is a virus. The atmosphere was perfect. It was reminiscent of Sherlock Holmes. No matter what adventure he was on, Asher kept his educated detachment, analyzing the world around him. Yet he wasn't pompous, something I have a hard time liking in a character. I would have enjoyed more time with Lydia. Really, all of the characters were interesting in their own way. The setting was well rendered, no matter where they were (they visit Paris, venture into the catacombs.) The amount of research that must have gone into this book was remarkable, yet we aren't beaten about the head with it. Rather, these accurate details are blended into the story. I was particularly interested in the medical practices and beliefs of the time, plus the experiences the vampires had been through in their long lives. Famous fires and religious hunts. When I looked up Barbara Hambly, it turned out she has a particular interest in history, and has written historical mysteries (which this was, just one with vampires as the victims), as well as fantasy novels. Her writing was well paced and beautifully detailed. It was a pleasure to read, the words flowing forward. The conflict begins right away, with Asher creeping through his home in an attempt to figure out what has happened. While Ysidro is the type of vampire you shouldn't turn your back on, he grows on you as the book proceeds. 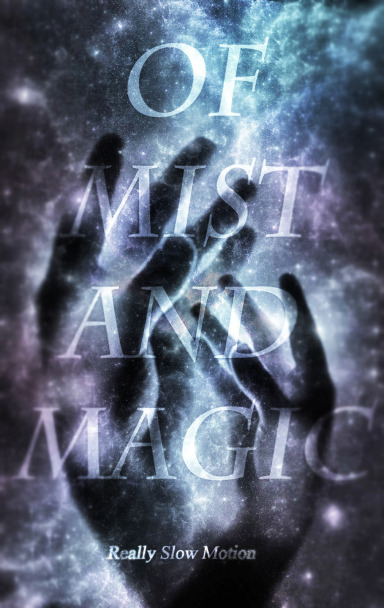 One could never fully trust him (unless he had given his word), but his personality slowly comes out, piece by piece, through the course of the book, and a delicate bond is formed between him and Asher. This is one my top four so far. 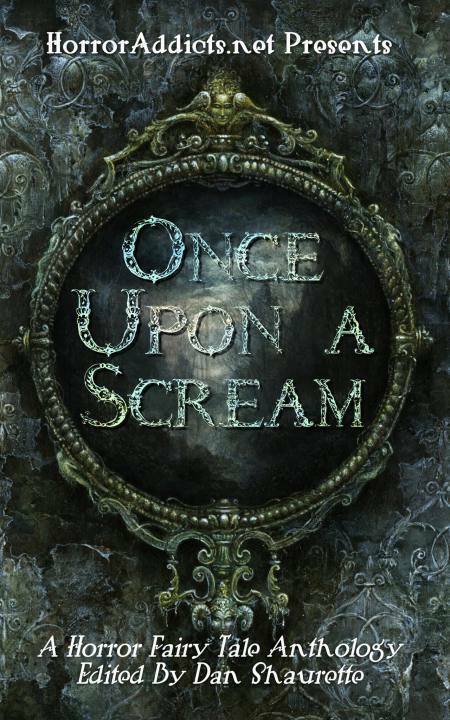 While it didn't scare me, it was still the type of vampire story I have become accustomed to. A little bit Anne Rice, it's more about the mystery than the horror. The most gruesome detail is the "person" responsible for murdering the vampires, making you question who the real evil beings are, and how far someone will go for their offspring. But I won't say more than that so I don't give anything more away. The next book I'll be reviewing is Best New Horror: Volume 1, edited by Stephen Jones and Ramsey Campbell. Have you read Barbara Hambly before? Which of her genres? How did you like her? Is this a book you might enjoy? 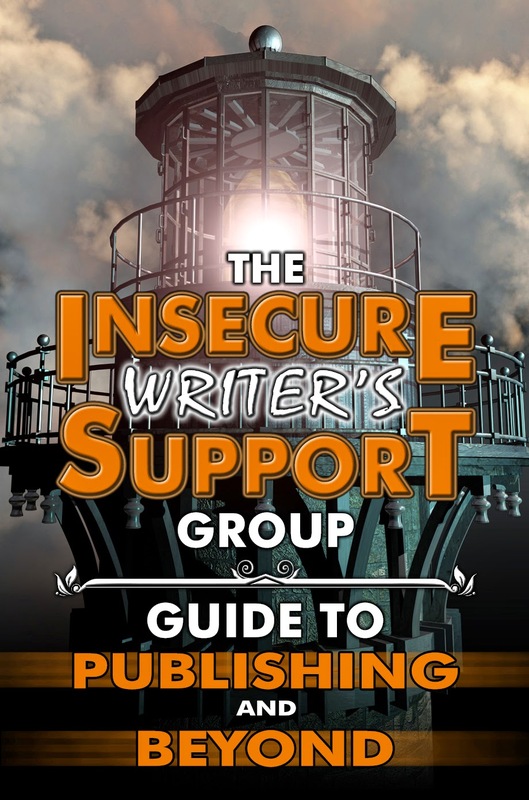 I've been involved in judging writing contests for a few different writers' groups, and every little once in awhile I like to throw out some pointers on things that I frequently see done incorrectly. I figure it applies for contests and submitting to publications, so something might come in handy for someone in the future. The biggest issue I see is the writer not following guidelines provided by the contest or publication. Always check around for the guidelines. If they don't have any, follow Standard Manuscript Format. You can just look this up online. 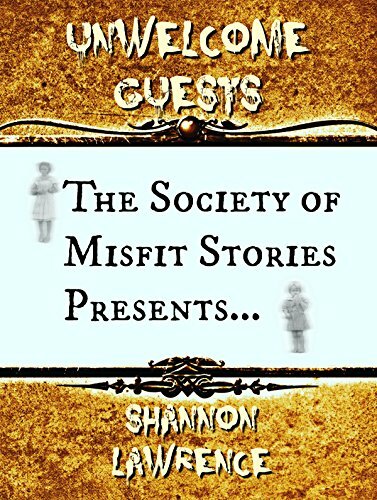 William Shunn has the best guide on SMF I've seen. You should use 12 point font in Times New Roman or Courier unless the guidelines ask you to do something different (which does occasionally happen). Everything in the document should be the same font. This means your title and byline should also be the same type/size as the rest of the document. Use 1" margins all the way around, be sure it's left-justified, and only put one space after periods, not two. You can get to margins by going to "Page Layout" and selecting the "Margins" option. 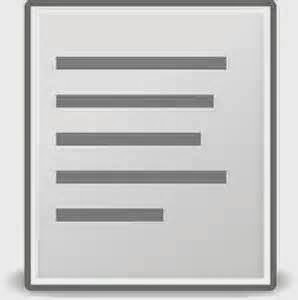 To left-justify, look for the symbols at the top of your document that have a series of lines. Choose the one that has the lines lined up on the left, ragged on the right. The first page is not just the first page of your manuscript - it should also convey certain information. Put a header on the top left of the first page with your name, address, email address, and phone number. On the top right, provide a rounded total word count for your submission. Include the title and your byline about half-way down the page, centered. Leave two spaces between the byline and the first sentence of your manuscript. Your submission is not an email or a blog post. This means the first sentence of each paragraph should be indented, there should be no extra spaces between paragraphs, and it should be double spaced throughout. To indent, you can either use the tab button, or go to "Paragraph," "Indentation," and, under the "Special" pull down menu, select "First Line." Set it to .5". To remove extra spaces between paragraphs (it should all look uniform if you've done it correctly), go to "Paragraph," and under "Spacing" check the box next to "Don't add space between paragraphs of the same style." You can also find the option for double spacing under "Spacing" then the "Line Spacing" pull down menu. Choose "Double." The page number should appear on the top right of each page except for the first page. The information on that page will make it obvious it's the first page. With the page number, you should have your last name and either the whole title of your work (if it's short) or an important word or two from it. To set the page numbers, go to the "Insert" tab and select "Page Numbers." Format from there. To make sure it starts numbering on the second page, not the first, double-click on the header area of the document. "Header and Footer" tools will appear above your document. Click the box next to "Different First Page." To indicate a page break, don't put random symbols or lines there. Instead use a centered pound sign (#). This will let them know it's a page break, saving confusion. These are just the things I see done incorrectly the most often in formatting. You'll want to look up Standard Manuscript Formatting to be sure you know everything you need to know about it. If there are guidelines listed for that contest or publication that differ from SMF, follow their guidelines for that particular submission. You'll need to adjust it to send to a different publication if it just wants SMF, though. To make this easier on myself, if a publication has different guidelines from SMF I will save it as a new document and apply the different formatting. This way, I don't forget that this document was different from SMF and send it formatted incorrectly to the next publication. Good luck with your contest entries and submissions! Remember, always check their guidelines first, then go from there. What are your critique or writing nitpicks? Is there something you want to see covered about submissions? What common mistakes did I miss? Any tips of your own? 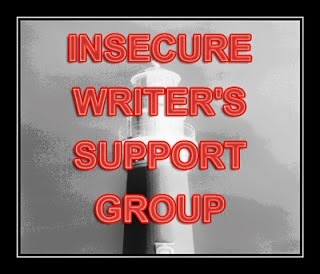 It's time for another round of Insecure Writer's Support Group! Whoops! I missed that we were supposed to be introducing ourselves, so I've edited to add in a quick overview: I write horror and urban fantasy, primarily, and have been focusing on short stories this past year to hone my craft before returning to my novels, one of which is complete and awaiting further editing, the other which is waiting for an ending. I enjoy all things horror rather gleefully (except those fake haunted houses you visit, because I'm convinced it would be an excellent way for a REAL psycho to take out some victims without anyone being onto them until they closed for the evening). Did you see that last sentence (You should have, seeing as how I put it in all capitals)? I officially signed the contract for one of my horror short stories to be published in the November 2015 issue of Bloodbond Magazine. This is the same piece that was shortlisted for an anthology in November, which felt good at the time, but this feels much better. I know it's a ways off, but I can't wait to see what the cover will look like, and have the chance to share it. Why did I have so few submissions this month, you might ask (or you might not)? It's just that all my pieces that are ready are out on submission from November still, and I didn't get a chance to edit and submit any others. I hope to remedy that this month. I had several that had been out well past when I expected them, but finally heard back on those (they'll be counted in next month's rejections.) It was actually a relief just to have the official rejections at that point, so I could resubmit them. Courtesy of the acceptance, I still have the usual insecurities and doubts about my writing, but there's a glimmer of hope. So all I can say to my fellow insecure writers is to keep muscling through and submitting, submitting, submitting until you find the right publisher for your stories. Glimmer Train is in one of their open submissions periods, where entry is free. Stories of any genre up to 12,000 words. Deadline January 31. Payment is $700, publication, and 10 contributor copies. They typically charge for submission, so it's always a great opportunity to submit something during the free submission window. The First Line provides you with a line to start your story then asks you to write a story of up to 5000 words (nonfiction is 500-800 words). The current first line is "Fairy tales hardly ever come true for quiet girls." Deadline February 1. Pays $25-50 for fiction. Charon Coin Press is seeking submissions for Carpe Noctem: Truly, Madly, Deeply, an anthology of urban fantasy and paranormal romance. 4000-10,000 words. Deadline February 1. Pays in a royalty split and contributor copy. 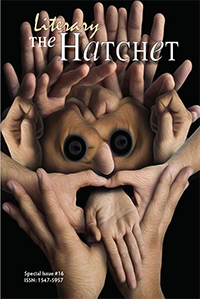 Splickety Publishing Group is open for submissions this month in their Havok issue. The theme is Crossover Chaos. 300-1000 words. Deadline February 6. Pays $02/word. 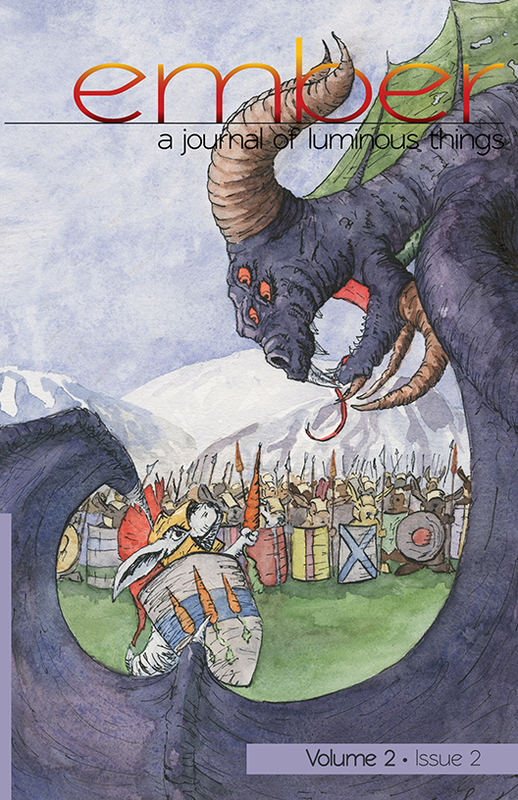 Journeys of Wonder is seeking submissions for their fourth volume. Up to 10,000 words. Speculative fiction. Pays a percentage of profits. Reader's Digest accepts submissions in a wide variety of styles/topics. You have to send a pitch first. Pay starts at $1/word. 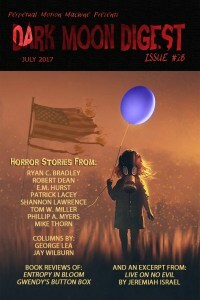 The Magazine of Bizarro Fiction is open for submissions. 100-6,000 words. Pays $.01/word. Flapperhouse is open to submissions that are surreal, shadowy, sensual, or satirical. Fiction up to 5,000 words. They also take nonfiction, essays, reviews, comics, and artwork. Pays $.01/word for fiction. Transition Magazine wants stories about mental health and stories of personal experience with mental health issues. They also take artwork. Pays $50 per printed page. Epic Saga Publishing has nine anthologies currently open to submissions. These lean toward science fiction with various minglings of genres. They're open until filled. Story lengths vary per anthology. I'm unsure of pay. What are your insecurities? Any submissions news? Do any of these publications interest you? Do you have information on any of these publishers? Now that it's officially 2015, it's time for me to set some writing goals. I don't do resolutions, as such, but I do like to make work-related goals. 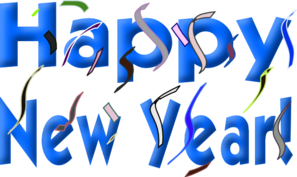 Before I do that, Happy New Year! We stayed in and had a quiet New Year's just watching movies and relaxing together. Last year, my husband was on a business trip for New Year's, so it was nice to be with him as we brought in the new year.We watched the fireworks on top of Pikes Peak, and the kids were still awake, so they got to see them, too. Other than that, there are no traditions we observe. I'd never heard of anything other than a toast and a kiss at midnight (which we do, so I guess we do observe that tradition.) I've heard of a lot of traditions now, courtesy of Facebook. I made steady progress with writing short stories and submitting them, racking up plenty of rejections. Many of these came with positive feedback. I was moved to the second tier for an anthology. Though I ultimately got a rejection for it, I consider this an accomplishment. I consistently turned in stories to my critique group. 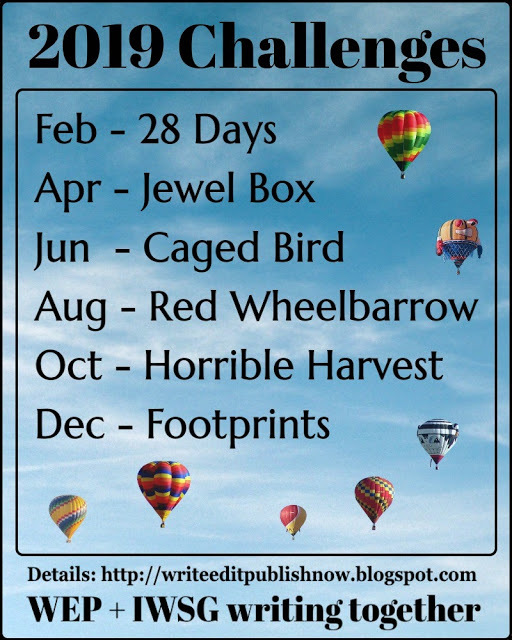 I made consistent progress in my challenge to read the best horror from various lists and write reviews. I achieved all of last year's writing goals except those related to my novels, which I chose to set aside. I don't remember what else, but I'm looking at it as a good year. Hopefully, 2015 will be even better. I set aside the novels until this year began, so they're back on the docket. I want to finish revising my YA novel and get it ready for submission. Finish my Urban Fantasy novel. Place several short stories for pay. Start working on articles again. Continue to experiment and enjoy collaborations and projects to expand my horizons. Continue with the horror reading/review challenge. I think that's a good list for now. When I make a list like this, I do so understanding that my goals and/or circumstances might change during the year, but I like to have an idea of what I'm aiming for in the year to come. It always feels good to look back and see what I was hoping to do in the new year, and how much progress I actually made. And it's nice to have something to check in on from time to time to straighten myself out when I've gotten off the path. Did you set work goals? Resolutions? What are some of your goals for the year, either personal or professional? Do you revisit those goals at the end of the year, or just continue adding to the list as you go? How was your New Year's Eve? Did you go to a party? Observe any special traditions? Technically, this should have been done last Friday, but I chose to take the full week off, so from here on out, the every other week review post will be every two weeks from this post. I'm reading through three lists of best horror with two friends, posting reviews as we go. (For more information, including a list of the books, see this post.) So far, I've reviewed Poppy Z. Brite's Drawing Blood, Robert McCammon's The Wolf's Hour, Laird Barron's The Imago Sequence, Neil Gaiman's Coraline, and Margaret Atwood's The Handmaid's Tale. 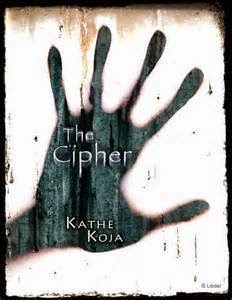 This week, I'm reviewing Kathe Koja's The Cipher. I'm a little mixed in my opinion of this book, which is funny, because there's a foreword that says people either love it or hate it. I don't feel passionately enough about it to love or hate it. In The Cipher, a couple (using that term loosely) discovers a black hole in a storage room. They name it the Funhole, and begin to experiment with it by dropping things in (a jar of bugs, a rat). When Nick, the POV character, stumbles, his hand goes into the Funhole and something begins to happen to him. A creeping malady that develops bit by bit. Not only a widening miniature Funhole in his own flesh, but a mental change. First, the pros. I found the story intriguing enough to want to know what this thing was and what would happen to Nick in the end. It became a tale where the main character is trapped in a situation he has created. The narrative style was such that one felt his increasing desperation as the issue unfolded. As he is trapped, so are we. His voice was very stream of consciousness during desperate or confusing times, conversational in the calmer times. It felt like I was sitting across from him in some smoky diner, leaning in to hear what he had to say. I think the writing was good, solid, in that way. But as I sit here trying to figure out the pros and cons, I find that I have more cons. I didn't find the characters likable, even Nick, really. He was too weak for me to identify with him or really care. If you aren't going to solve a problem, or work to do so, what do I care what happens to you? My interest in how it would turn out for him, as I mentioned above, was not about being invested in him so much as a scientific detachment that made me want to observe what was next. However, Nick is the most likable character other than two secondary characters, Vanese and Randy. Whenever Vanese was there, I felt an odd sort of relief that there was someone with an iota of common sense hanging around. And Randy meant well. A big issue I had was that the story felt drawn out beyond where it should have ended. It felt like a short story that got stretched out too long, with unnecessary bullying characters thrown in to draw it out. At about 23% (Kindle ebook), I looked at that percentage and wondered what in the world could possibly go on to fill the last 77% of the book. It could have been shrunk down, still covered the important parts, and been an excellent short story. The other primary character is Nakota. I couldn't stand her. She was strung out, vindictive, an awful person. She, more than anyone else, perpetuated the issues in this book. She was instrumental in trapping Nicholas in the situation. She tormented him then brought in more people to torment him. I was rooting for him to throw her in the Funhole. Please just kill her and be done with this. As I write it out, I realize it sounds like I didn't like it. But I don't regret having read it. It was a worthwhile story to read, just flawed. The story was basically a slow, queasy, confusing spiral into insanity, and that part was well done. It's not technically insanity, as there is an outside force more than internal, but that's what it feels like. I wanted it to stop. It was like being in a junkie's mind. There was an awful self-destructive force occurring that simply couldn't be escaped. A compelling obsession that couldn't be erased. Certainly, that will stick with me. And, for the record, the book won a Bram Stoker Award. There's a reason it's on the list, and I do feel it was horror, mostly psychological. At least, it was the psychological aspects that drew me in and interested me. I didn't find the Funhole all that interesting, though it was the cause of everything, the beginning and the end of it all. What it comes down to is this book was gritty, it was compelling, it sucked me in, but it was flawed in terms of there being characters I could care about and contrived plot points meant to draw the story out. A warning: the ebook had a ton of typos in it. There were times I questioned whether certain flaws were on purpose, an attempt at something poetic or a halting thought process, or whether they were typos. I still couldn't tell you. The physical book is out of print, but would be an interesting find at a secondhand store. 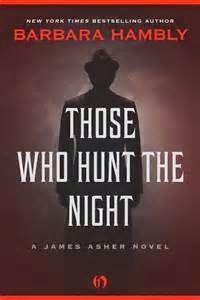 I think I'll be reading and reviewing Those Who Hunt the Night by Barbara Hambly next. Have you read Kathe Koja? The Cipher? What did you think? What book of hers do you like best? What type of horror do you enjoy most?